In wholesale broker transactions, lenders will generally offer a variety of loan products to the broker, along with prices at which it will purchase each product. Using complex and proprietary computerized models, lenders will generate prices for their wholesale mortgage products, and these prices will typically change daily. This pricing information is then transmitted to the approved mortgage brokers in what are known as "rate sheets." In general terms, the "price" that a lender is willing to offer for a particular loan product is a function of the predicted value of that loan when it is resold in the secondary market. 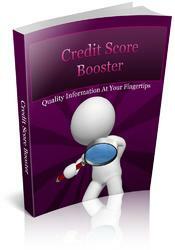 The pricing may also differ based on the credit quality of the loan. Furthermore, numerous other price adjusters may be imposed by the lender to reflect risk characteristics, such as loan amount, two to four family dwellings, high rises, loan-to-value ratios, etc. Furthermore, the wholesale price lenders make available to mortgage brokers differs from the "retail" price in that it excludes many of the costs that are necessary to advertise and originate the loan to the consumer such as the cost of the broker's services. In wholesale loan transactions, it is the mortgage broker who ultimately sets the "retail" price that the consumer eventually pays for the loan. The fact that brokers have the ultimate role in establishing final "retail" prices is vital. As described above, the broker has a crucial role in the transaction. The broker serves as the "retailer" of the loan in providing the "bricks and mortar" that would otherwise be provided by the lender. The broker markets and advertises the lenders' loan products. The broker also provides an array of originating and processing services to the borrower and lender. The broker then executes the loan documents in favor of the lender or closes the loan in its own name ("table funding"). In all instances, the broker is performing real services, providing real goods, and interfacing with consumers. As the provider of such services, mortgage brokers require compensation. It is the broker—not the lender—who in negotiation with the consumer must appropriately make the final determination of how the broker will price its own services. It is essential that brokers retain the independence to price their own services in order to assure that they meet the individual needs of their customers, as well as their cost structures and operating expenses. In today's mortgage market, mortgage brokers will retail the products of various lenders to consumers and recover their own costs (plus profits). The flexibility in pricing allows them to receive their payment in a way that accommodates the borrower's available cash for closing. For instance, the borrower can pay all of the broker's costs directly, or alternatively they can have the lender pay some or even all of these costs (a payment commonly called a yield spread premium) in exchange for a slightly higher interest rate. When the process works right, brokers and borrowers select the best loan options to meet the consumers' needs and negotiate the terms of the loan within the constraints imposed by the lender's rate sheet. Lenders are "once-removed" from this negotiation process, and are generally indifferent as to the pricing option combination of interest rate and upfront closing costs selected by the borrower and broker pursuant to the lender's rate sheet except insofar as the lender ultimately receives the same return after it sells the loan on the secondary market. Lenders recognize that some brokers may attempt to gouge consumers. For this reason, many lenders cap the fee that the broker can receive in order to protect customers. However, such caps are designed only to limit discretionary pricing not eliminate the negotiation process between the broker and borrower. Caps therefore are not intended to and do not ensure that all borrowers pay a uniform price. In fact, the unavoidably individualized nature of each loan transaction would dictate otherwise.